It is World Hijab Day today (thank you to my little sister for the reminder). On reflection a couple of things come to mind: how much animosity there is still in some parts of the world to the concept of hijab, how much easier it seems to wear hijab today than it did 18 years ago and how much more confidently young women pull it off these days. The other things that I am reminded of are my hijab journey and how often I still get asked strange questions. When I look back, there came a point in my teenage years when I questioned my faith and decided that it made sense to me and was something that I wanted to follow. At that time hijab seemed so alien to me. I wanted to be like everyone else and not the only one wearing a scarf. At the same time, there was guilt at the back of my mind and a desire to follow what I believed to be Allah's (SWT) command for me. 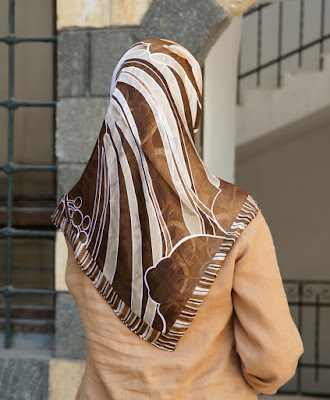 At university, I had a dear, beloved, friend, who decided to wear hijab at the start of Ramadan. 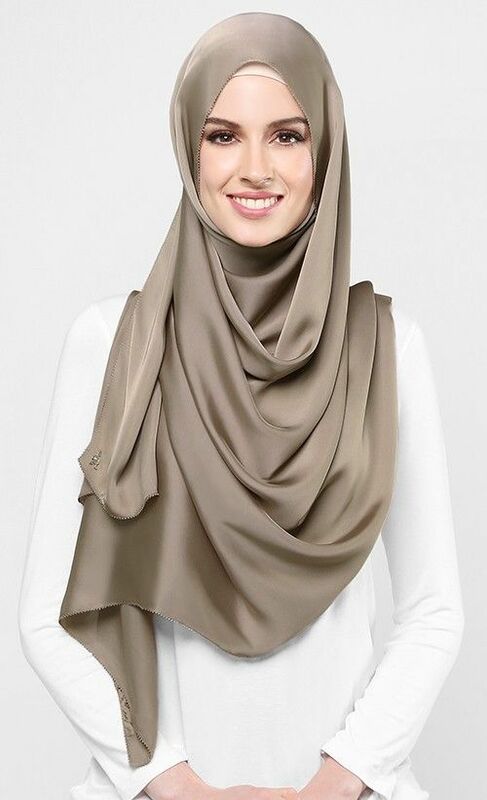 She inspired me and gave me courage, so I decided I would wear hijab too. Alhamdullilah, I believe she gave me a real push to come closer to my faith and that she should get equal reward to me for every day I have work hijab in the last 18 years. I didn't realise at the time that Jewish women often cover their hair like this. I lost count of the number of African women who asked me how I tied my scarf and delighted in explaining. 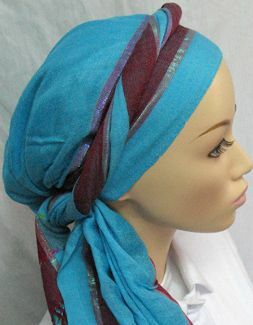 I sometimes look at turban hijab trend today and before I judge, have to remind myself I started somewhere too. The other thing I recall from this time was how many women, usually not in hijab themselves would either tell me how beautiful I looked in my hijab or defend my right to wear hijab. It's something that helped my confidence to grow in waring my hijab and I make dua that these sisters are blessed with happiness today. I still dressed the same way I always did and as I began work, I wore sharp suits and long skirts. Over time and with the transition to otherhood these became looser and were then replaced with the abayah. On the first day I wore abayah, I explained to my manager that I would be dressing like this and I hope she was okay with it, I think she was completely lost as to what to say and responded that she thought my long dress was lovely. At work, I met my beloved best friend and she inspired me to try the long pashmina scarf, showing me how to pin it, which took a little practice. I am used to this style and feel super comfortable in it. I love wearing hijab and I am proud of my hijab-wearing sisters. I am also grateful to those that don't wear hijab but defend our right to wear it and those who stick up for us when we feel scared or vulnerable. Do you wear that at home / in bed / in the shower? No. Hijab is to be worn in front of non-Mahram men, i.e. those that you would be allowed to marry. So we don't hav to wear it in front of our parents, husband or children at home or in bed. Or when we are alone, like in the shower. Do you wear it because you are married? Does your husband make you wear it? No. Hijab becomes obligatory on a woman when she reached puberty, way before she might be considering marriage or a husband. It's a command from Allah (SWT), not your husband. Or as my darling best friend said in response to a very rude colleague who asked me why I wore that thing on my head - because we love and respect piuos women like the Virgin Mary who also covers her head (the lady asking was strict Catholic, she was left wihtout a thing to say). Don't you get hot in it? No more than if I had been wearing regular clothes, when it's hot out, you feel hot. I always struggled with the heat, despite the fact it hardly even ever gets very hot in England, but I found that when I started to wear hijab and abayah, the heat no longer seemed to have an effect on me. I beleive when you do something for Allah (SWT), He makes it easy for you. Or as some sisters woud say: "Yes, but not hotter than I would be in the fires of hell"
Do you have hair? How long is your hair? Yes and how long is a piece of string? Sometimes I have fun with this one and try to convince people I am bald. Depends on my mood, black just matches everything and I love colour. I tell people I choose my hijab based on what lipstick colour I want to wear, actually I just rotate through my collection. Subhanallah I did not know it was World Hijab Day today. But it feels very strange because 2 days ago, the first time in my hijab wearing life (3 years Alhamdulillah) I got shouted in my face by an English young man, he said "Muslim" with a very angry and agressive tone. I was walking home from nursery with my toddler who started crying as he got scared- just like me. Since then I haven't been outside ( due to kids illnesses) but it just doesn't feel the same when I ll be out tomorrow. .I am thankful that nothing really happened, that he didn't hurt us Alhamdulillah. I keep praying to Allah that he protects us on our ways. I just wanted to share because I think these hate inspired street harassments are on the rise- thank you Trump and Brexit. Don't worry kenza I wear niqab. You will get used to it and don't let comments bother you. Joke around with comments and ignore them. As a niqabi I get asked questions all the time and now in confident ever than before. mash'Allah may Allah reward you and always keep you safe. Thank you for your comment in response to Kenza.